Olaf (Ole) Helmer Tokheim passed away August 3, 2018 at the age of 100. He was born in Thor, Iowa. 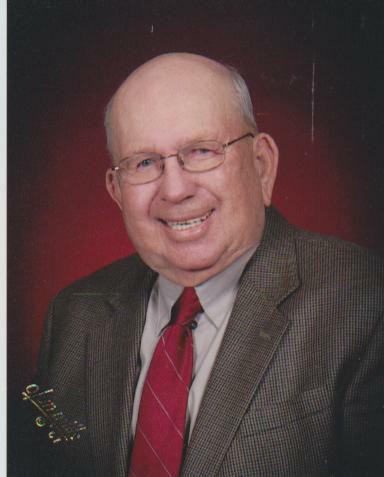 Ole will be remembered as a kind, patient, and gentle man, loving husband, father, grandfather, and great grandfather. His greatest gift was giving his time to those in need. His passion was fishing. Ole worked with various youth organizations, Salvation Army, Election board, blood bank, and held many church positions. Ole was preceded in death by his wife, Lorraine, of 70 years, his parents Andrew and Annie Tokheim, and his brother Vernon. He is survived by his daughter Susan Tokheim, and son Joel (Candace) Tokheim; 6 grandchildren: Michael Lekkarakos, Zoe Lekkarakos, Stacey Tokheim Kalin (Scott), Justin Tokheim (Andrea), Jason Tokheim (Kristin), and Adam Tokheim (Michelle); and 13 great grandchildren: Kole, Drew, Chase, Brodie, Belle Kalin; Rachel, Rebekah, Justus, Eliza, Joel II Tokheim; Owen, Aden, Everly Tokheim. Ole was baptized and confirmed in the Thor Lutheran Church, was a member of Plymouth Congregational Church in Tacoma, Washington, and a member of St. Paul’s United MethodistChurch in Manteca. He attended elementary school and graduated high school in Thor, Iowa. He attended Beutel Business College in Tacoma. Ole served his country during World War II in the European Theater in the 342nd Ordnance Company. He married Lorraine Strauss on March 12, ,1946, in Tacoma, Washington. Ole worked at the Mt. Rainier Ordnance Depot in Tacoma, Tooele Army Depot in Utah, and Sharpe Army Depot, Lathrop, California, where he retired in June 1972. Ole and Lorraine made their home in Tacoma for 16 years, 2 1/2 years in Tooele, and settled in Manteca for 53 years. P.L. Fry & Son is honored to be serving the Tokheim family. Viewing will be on Tuesday, August 7, 2018 from 2:00 p.m.to 6:00 p.m. at P.L. Fry and Son Funeral Home 290 N. Union Rd. Manteca, Ca. Graveside service will be private. Memorial services will be on Wednesday, August 8, 2018 at 11:00 a.m. at St. Paul’s United Methodist Church at 910 E. North Street, Manteca. Lunch will be served in the fellowship hall after the service. Remembrances may be made to a charity of your choice.